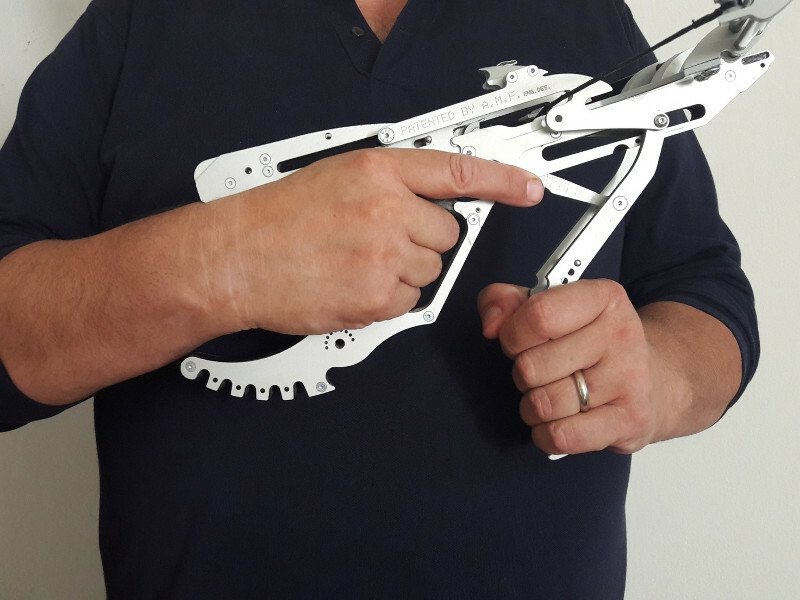 The first Crossbow Pistol in the world that releases 5 darts in 60 seconds, from today it is available in the version with long refill lever, adjustable stock with adjustable cheek pad, proportional trigger with micro-bearings, standard Diopter holographic that transform the SHADOW X 80lbs into a compact tool for precision shooting and / or hunting for small prey such as; Pheasant, Greylag Goose, Hare, Capercaillie, Etc … (in the places and in the ways prescribed by law, respecting the regulations in force for the countries of origin). 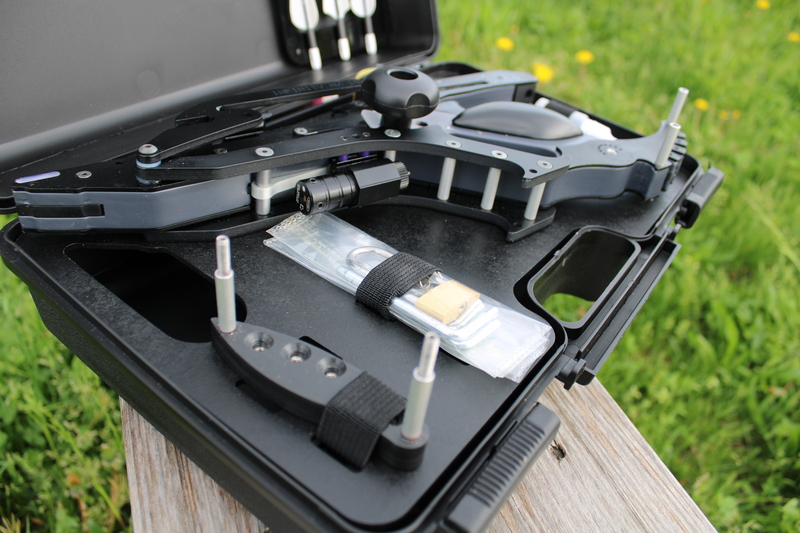 A clever ergonomic study allows you to house all the parts of the SHADOW X 80lbs in a sturdy ABS case, large 37 x 22 x 12 centimeters. 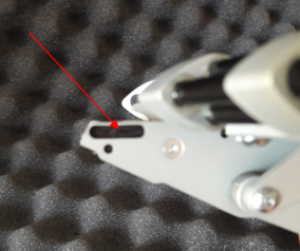 1 usb key containing the instruction manual for use. 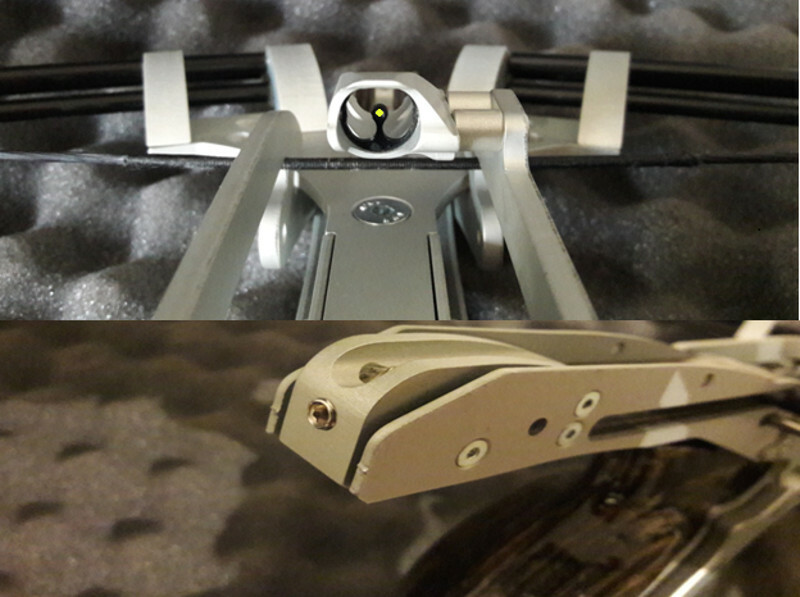 1 Front fiber optic collimator. 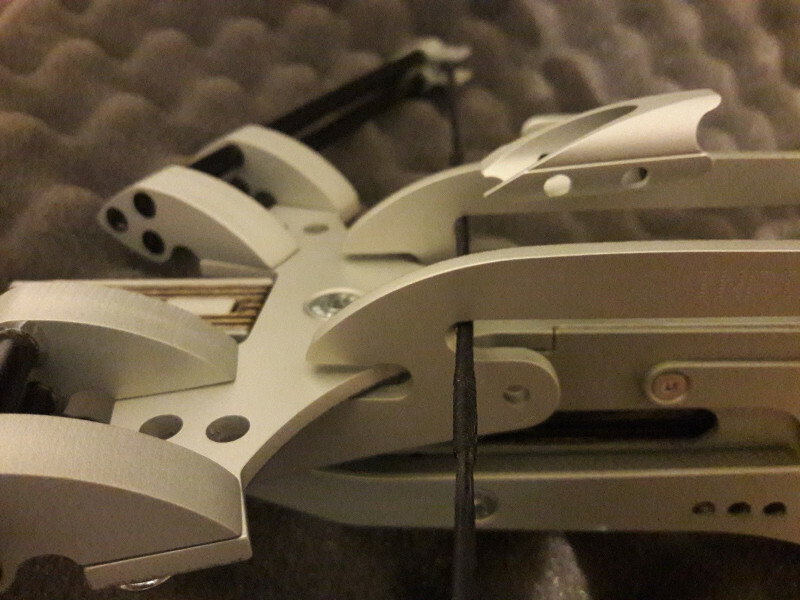 The first crossbow pistol to use the first dart in the world designed to be launched on wooden targets. Pure fun, for the first time in the world, thanks to A.M.F. 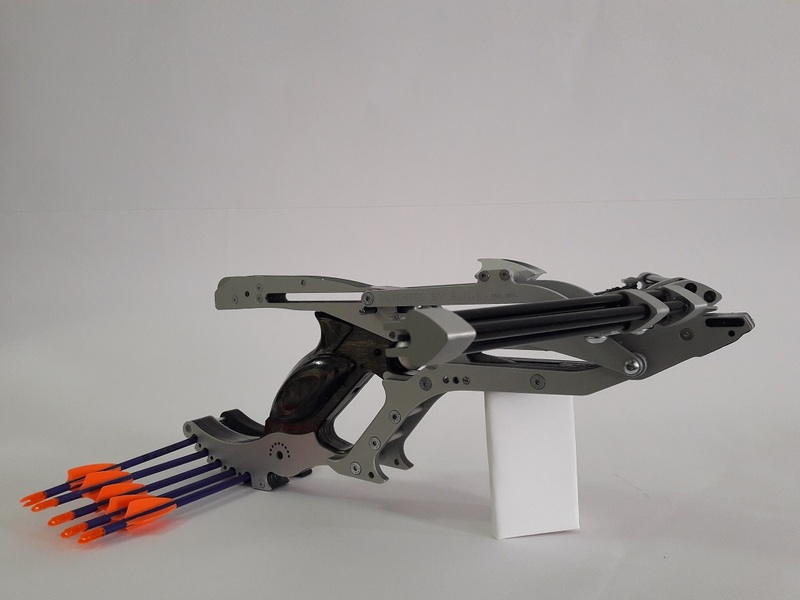 Engineering Design, a Balestra pistol that throws darts directly on wooden targets. 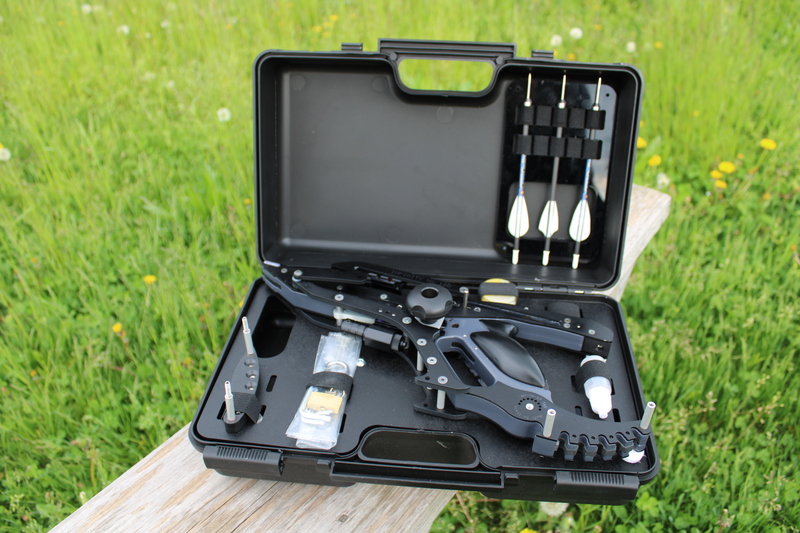 In a few minutes, assemble your crossbow (the movie called Assembly of the Shadow W Crossbow Pistol). 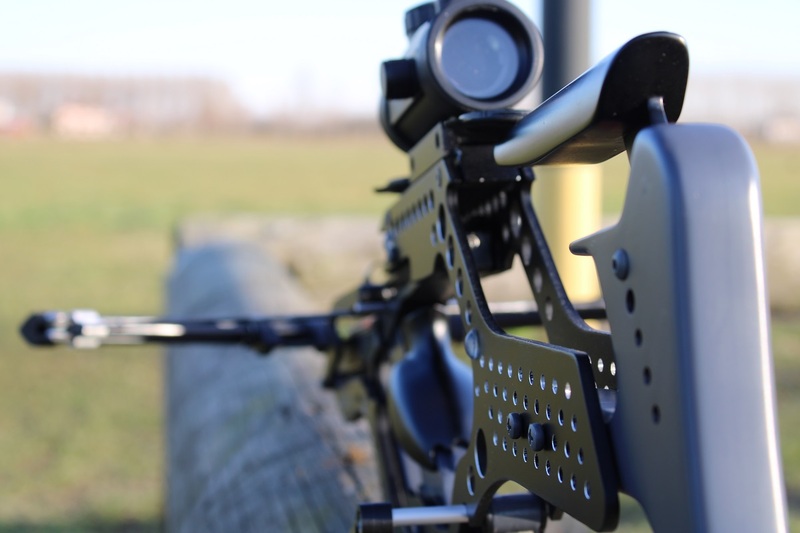 In just a few seconds the crossbow is easily loaded, the laser point is positioned on the target and it is struck with extreme precision, simplicity and speed. 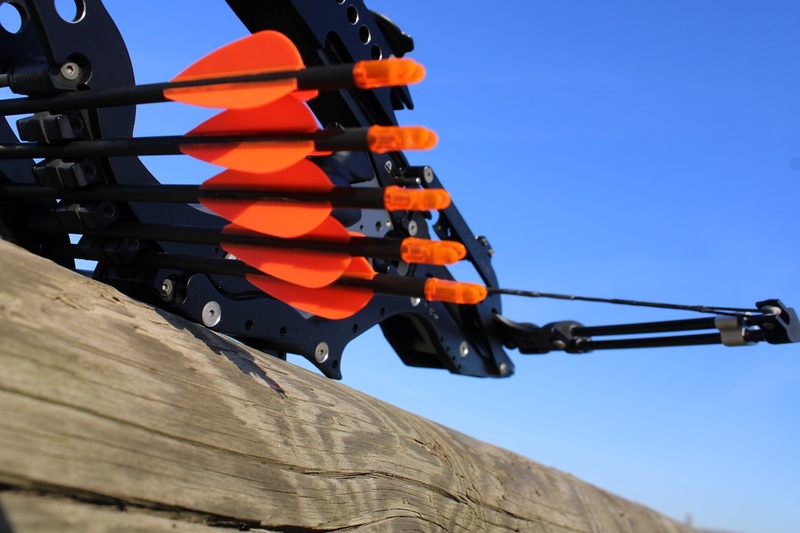 You can hit 3 targets with really limited margins of error, in seconds. 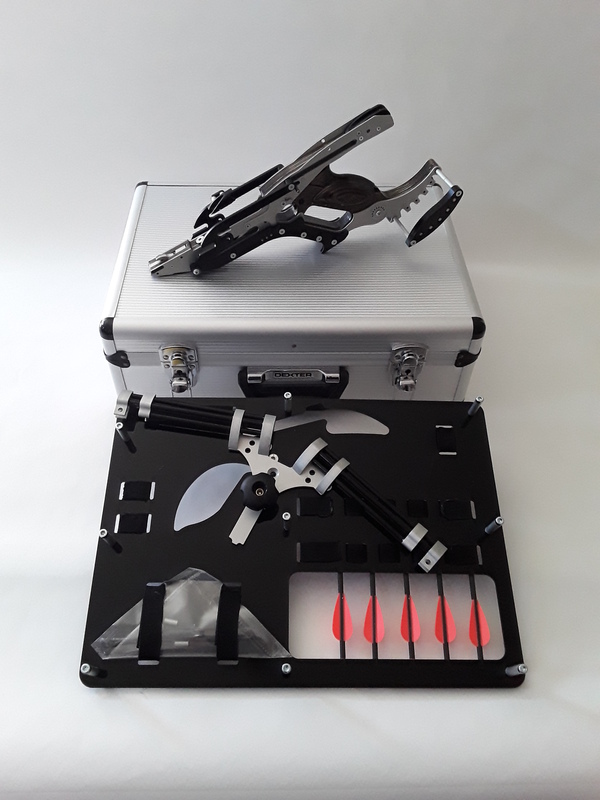 Bring with you your SHADOW W Gun Crossbow, in complete safety, disassembled in the sturdy and compact ABS case, designed to accommodate both the adjustable stock and the laser holographic Diotra (optional). 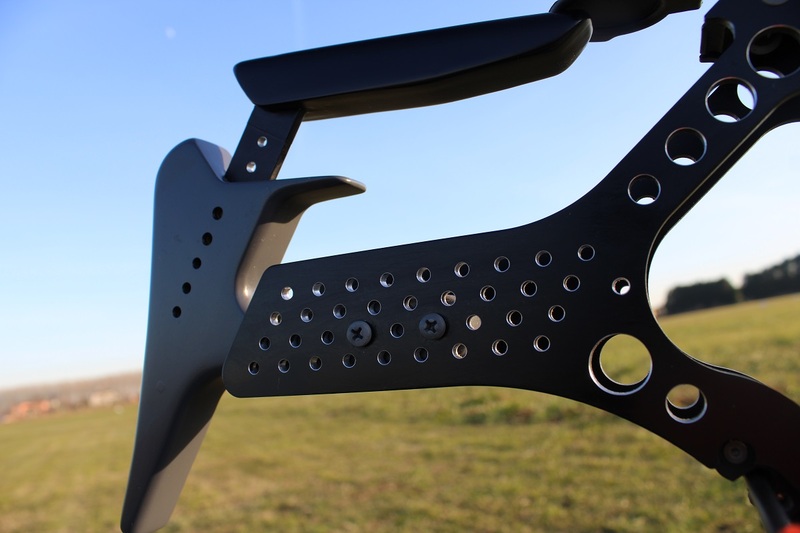 At your disposal the darts Stinger, Patented by A.M.F. 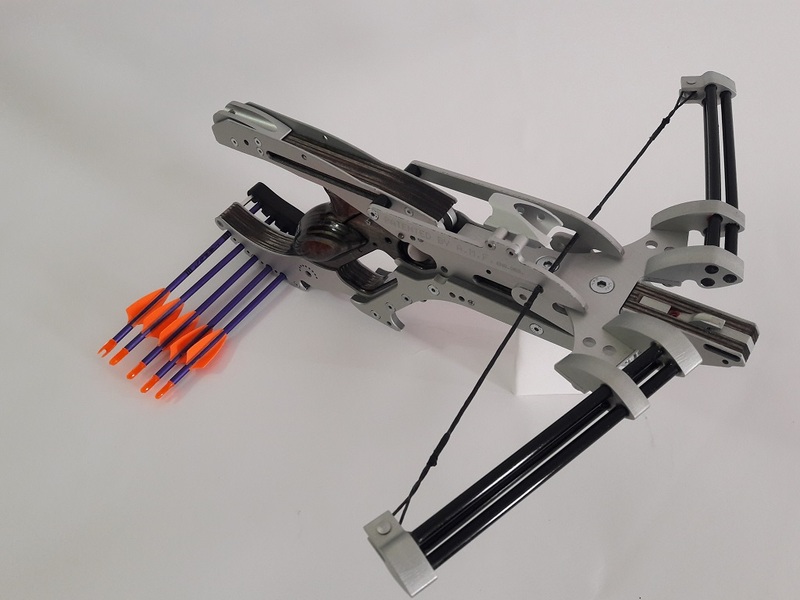 Engineering Design, designed to be launched directly on wooden targets. 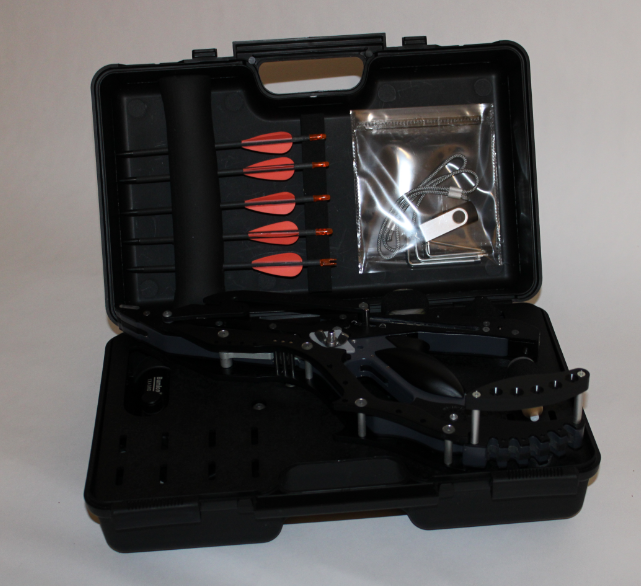 The kit also includes a Nail Puller to easily remove the Stinger darts from the wooden trunks (see the movie titled, Remuve de Stinger darts from the wooden target). 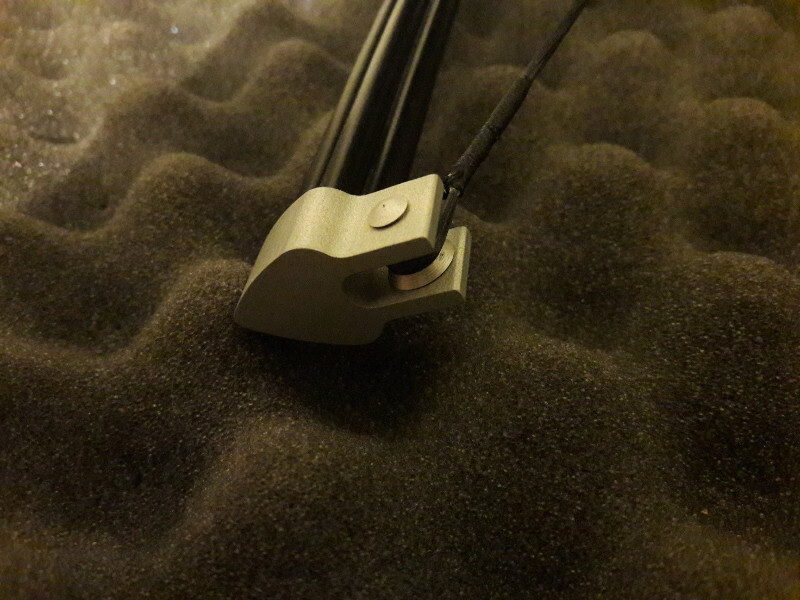 The first dart in the world, designed and patented by A.M.F. 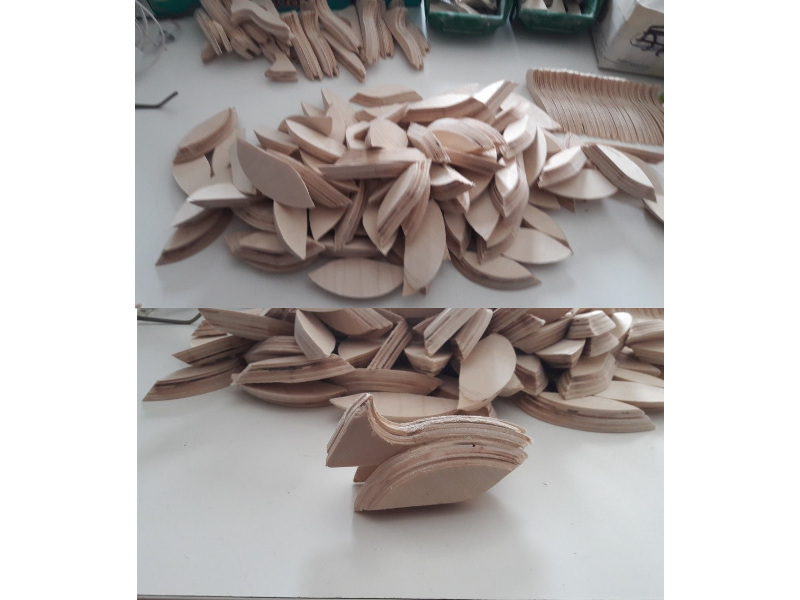 Engineering Design to be launched directly on wooden boards. 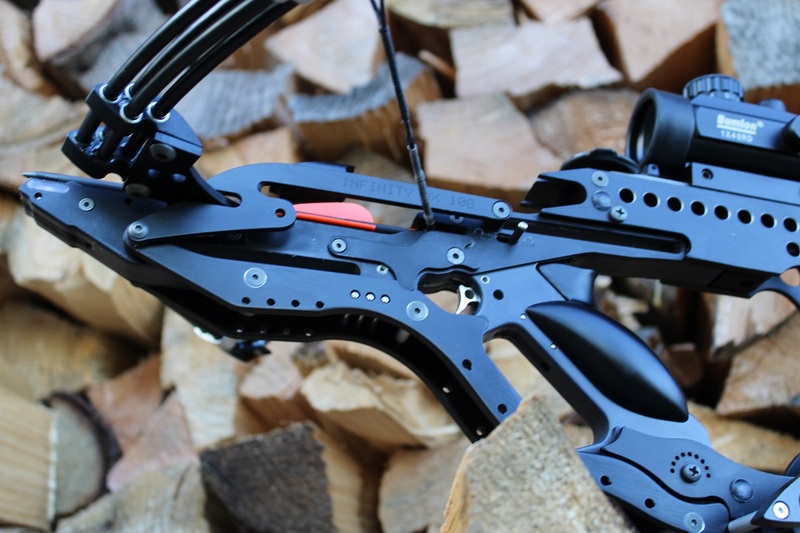 The front made of high-strength stainless steel has been sized to withstand heavy impacts on hard wood. 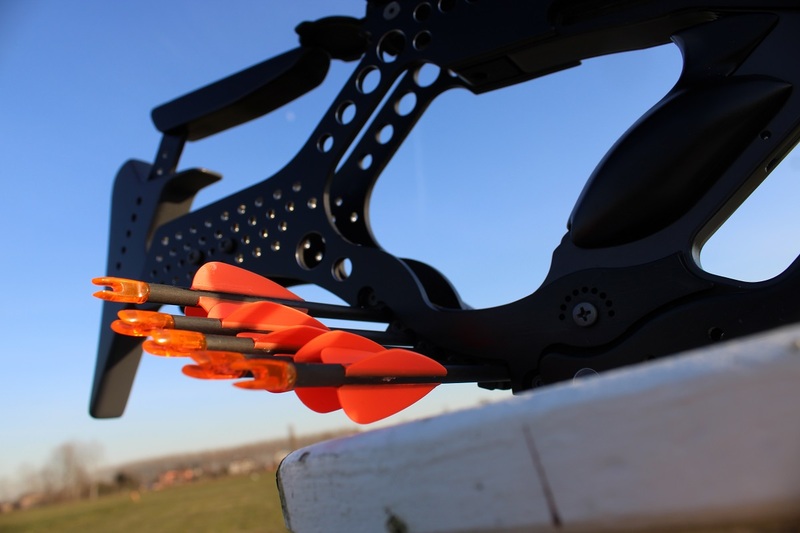 The back, in Easton Carbon Apollo 2000, light and very resistant, houses the nock and the fins that give direction and precision to the shot. 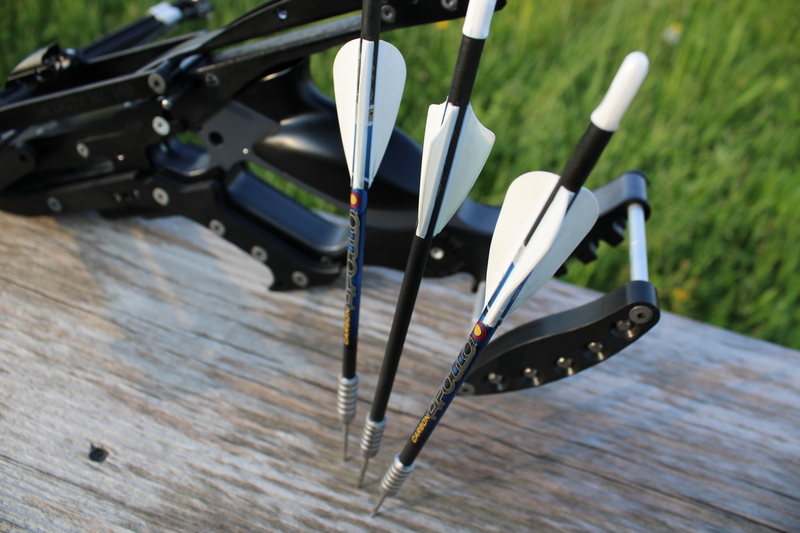 The steel core penetrates the Carbon for 25mm making the dart easy and strong to hold. 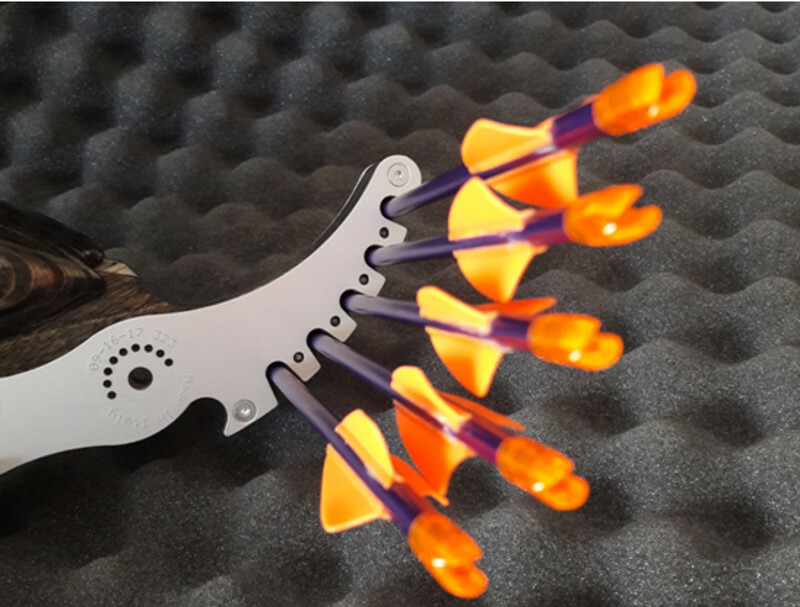 To easily remove the darts from the wood, we have created a Nail Puller (see the movie entitled, Remuve the Stinger darts from the wooden target). 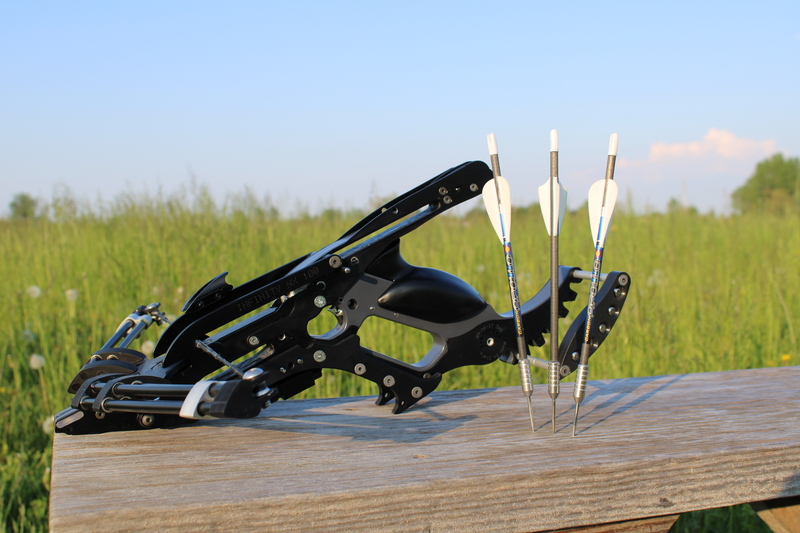 Think of the fun, being able to go and train with your crossbow without the need to buy a target, you just need a piece of wood or a cut trunk, as you can see in the yarn called Shadow W Crossbow Pistol equipped with the Stinger darts. 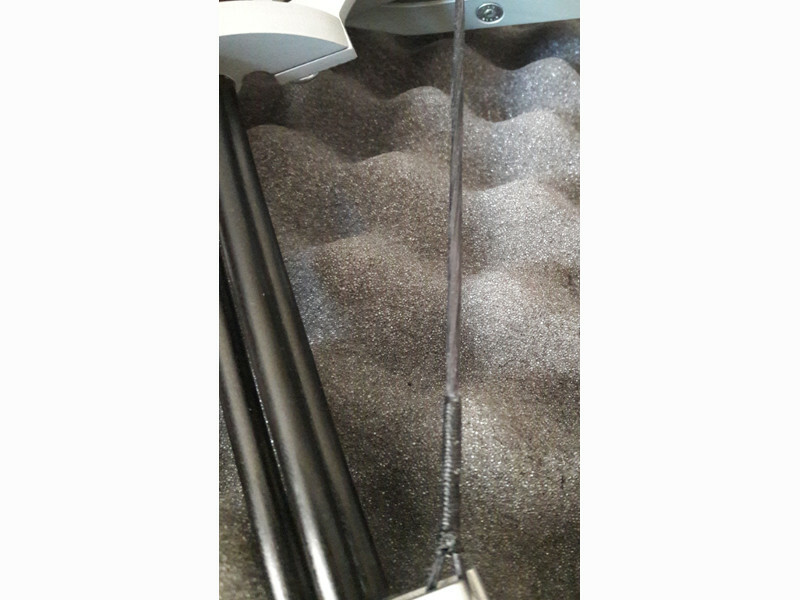 Versione più potente della balestra pistola INFINITY NX100, progettata appositamente per esprimere maggiori prestazioni in velocita di uscita, coefficiente di penetrazione e stabilita di tiro. Velocità raggiunta 284 feet per second. Riprogettato l’archetto con l’aggiunta di fibre Aramidiche strutturate con elementi in Carbonio e Avional 2024. Sistema di rilascio rinforzato con elementi in acciaio 4130. Utilizza di serie dardi in carbonio. CLICCA PER APRIRE LA PAGINA DEDICATA AGLI ALLESTIMENTI. Caldo Plywood Birch Aeronautico per una Grip confortevole in ogni stagione, protetta da 6 strati di verniciatura. 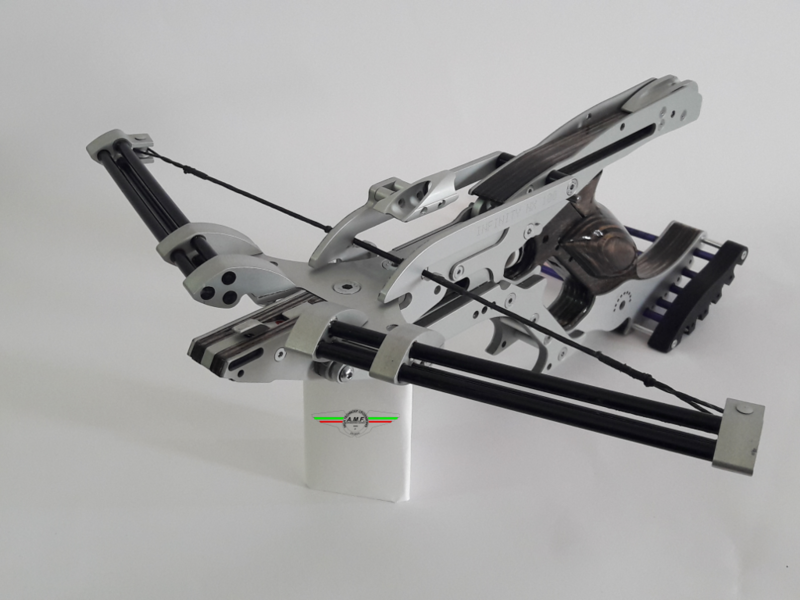 AVIONAL 2024 Il metallo con cui sono costruiti gli aerei militari per una struttura portante sapientemente modellata nel puro stile Italiano. Warm Aeronautic Plywood Birch to assure a confortable Grip in every season, protected with 6 painting layers. AVIONAL 2024 is the metal used to build military airplanes, which guarantees a support structure modelled in a pure Italian style. 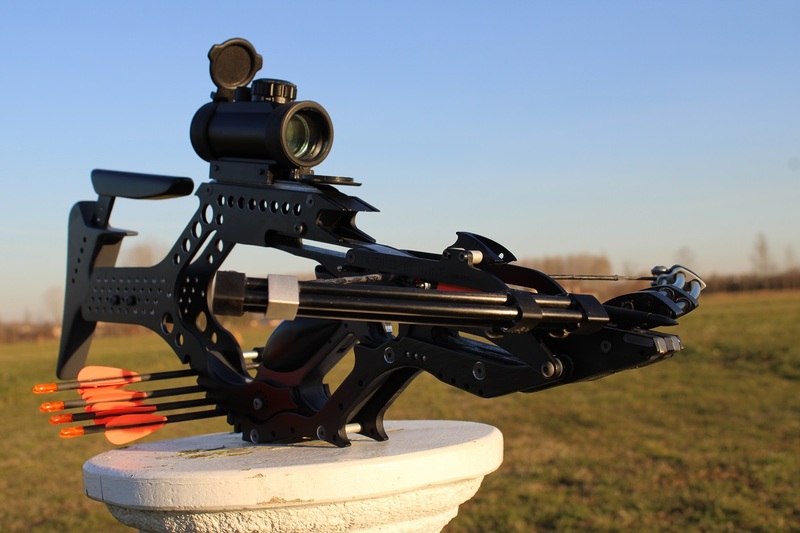 Generation of High Efficiency Crossbows. A tutelare il duro lavoro profuso dalle tre aziende partner nella progettazione e produzione di INFINITY NX100. To protect the hard work spent by the three partner companies designing and producing the INFINITY NX100. Ogni Balestra INFINITY NX100 porta con sé la data di produzione nel formato MESE-GIORNO-ANNO ed il numero progressivo di produzione. 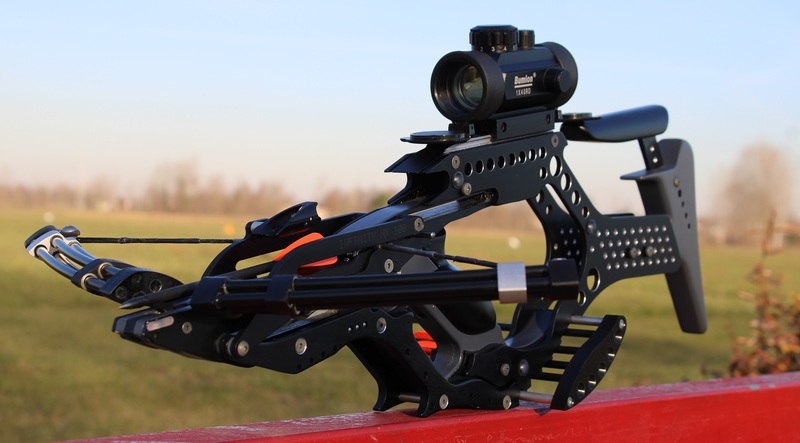 Every INFINITY NX100 Crossbow brings with itself the production date in the format MONTH-DAY-YEAR and the progressive production number. 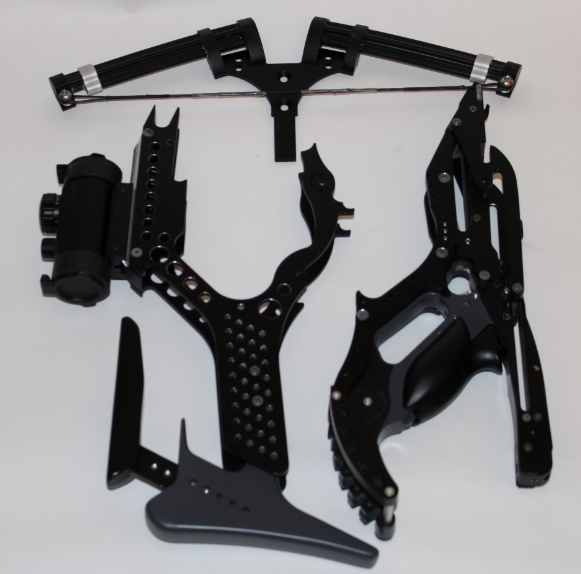 Sistema Multi-flettente progettato da A.M.F.Engineering Design che unisce Leggerezza, Robustezza e Forza elastica. 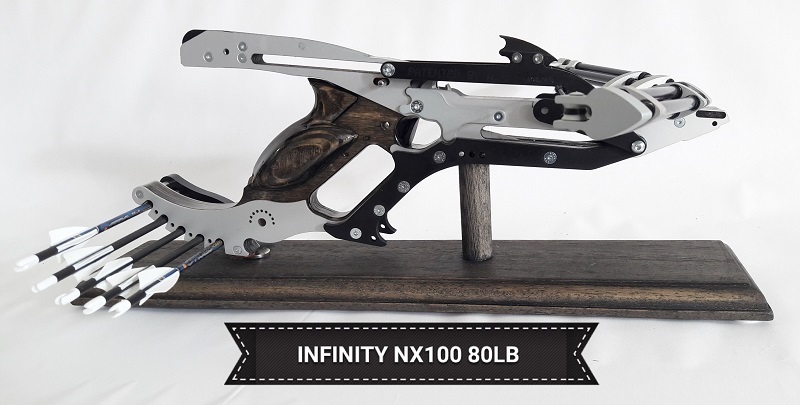 INFINITY NX100 La prima Balestra Pistola al Mondo ad utilizzare un sistema multi flettente che si separa dal corpo della Balestra senza dover smontare la corda. Multi-flexible System designed by A.M.F. Engineering Design which combines lightness, strength and elastic force. 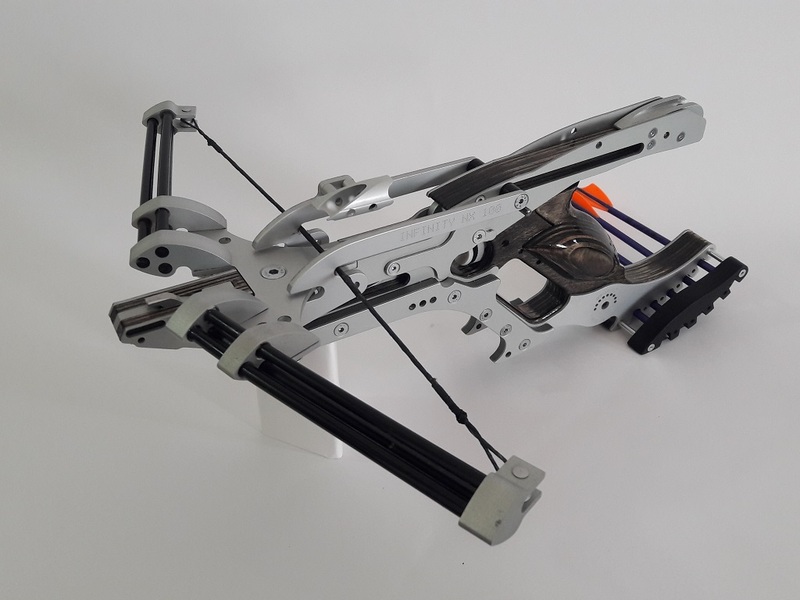 INFINITY NX100 The first Crossbow Pistol in the world that use a multi-flexing system which can be separated from the crossbow body without string disassembly. 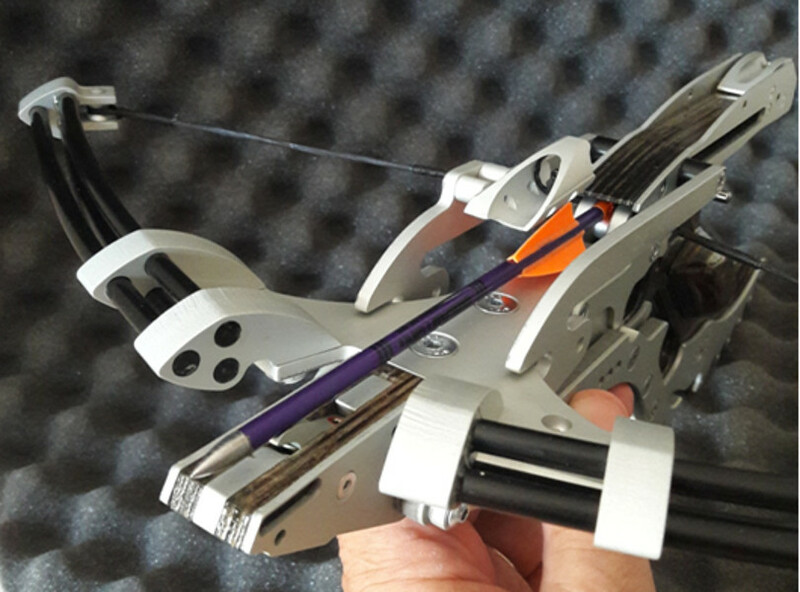 Our strings have been realized with FAST FLYT PLUS, the same string used by Olympic bows, as stiff steel and as light as silk. Terminali della corda lavorati con tornio a controllo numerico per limitare gli attriti e donare maggior durevolezza alla corda. 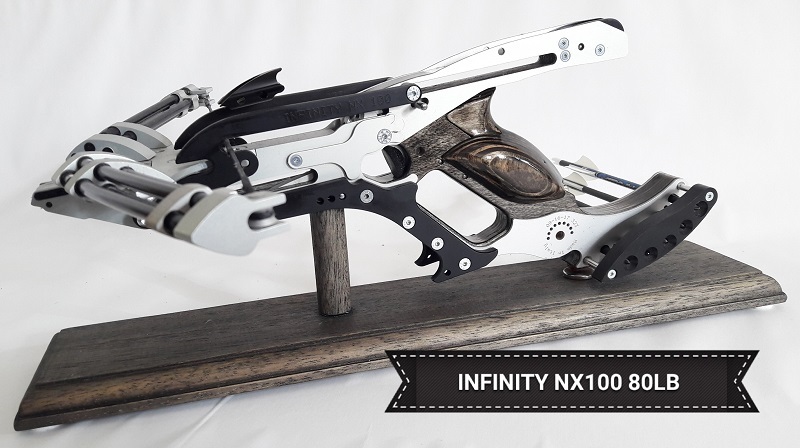 INFINITY NX100 La prima Balestra Pistola al Mondo ad utilizzare i rocchetti terminali per la corda. 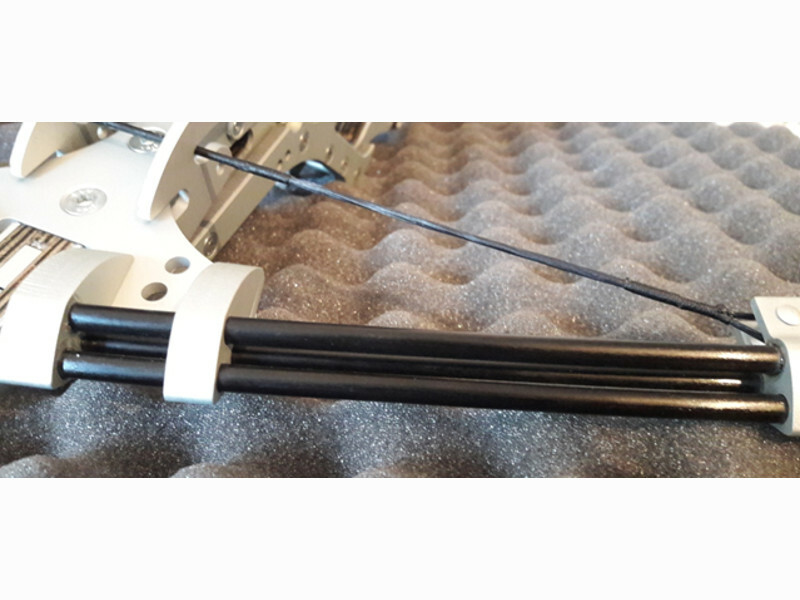 String ends are machined on numeric control lathe in order to reduce friction and give better durability to the rope. 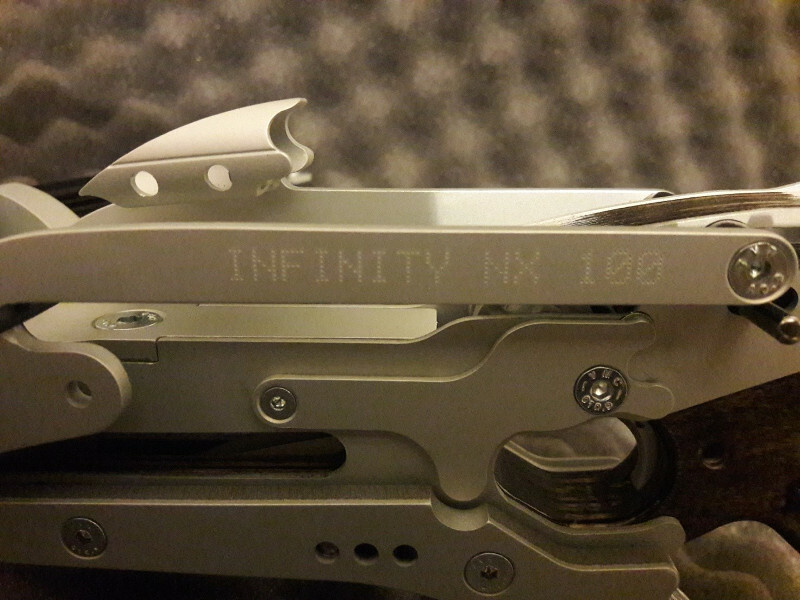 INFINITY NX100 The first Crossbow Pistol in the world that use the string terminals. 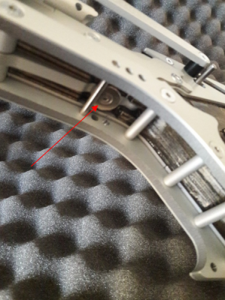 Supporto del Dardo con regolazione micrometrica per una messa a punto ottimale e personale. Alla sua base un magnete al Neodimio trattiene la punta del dardo nelle fasi precedenti il tiro. 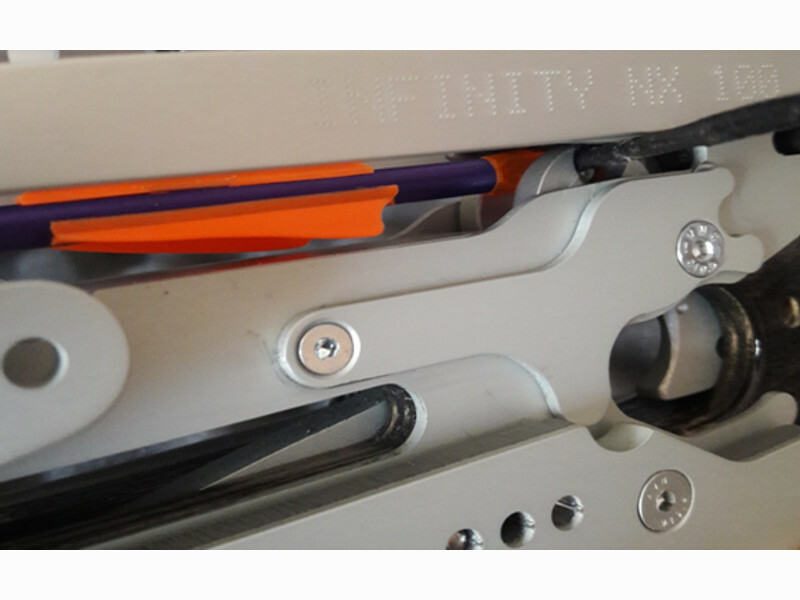 INFINITY NX100 La prima Balestra Pistola al Mondo ad utilizzare un Rest Magnetico con regolazione micrometrica. 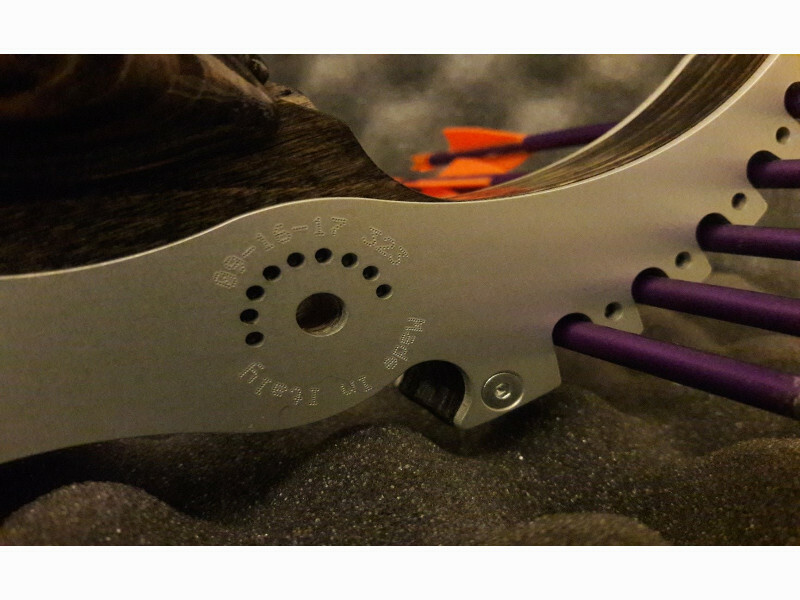 The arrows support has a micrometric regulation device for an optimum and personalized fine tuning. 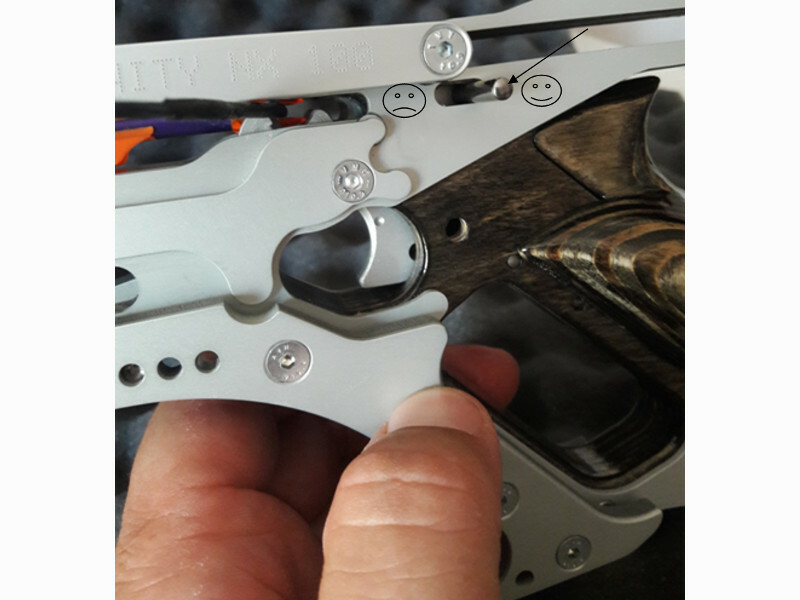 At its base there is a Neodymium magnet which holds the arrow head before shooting. 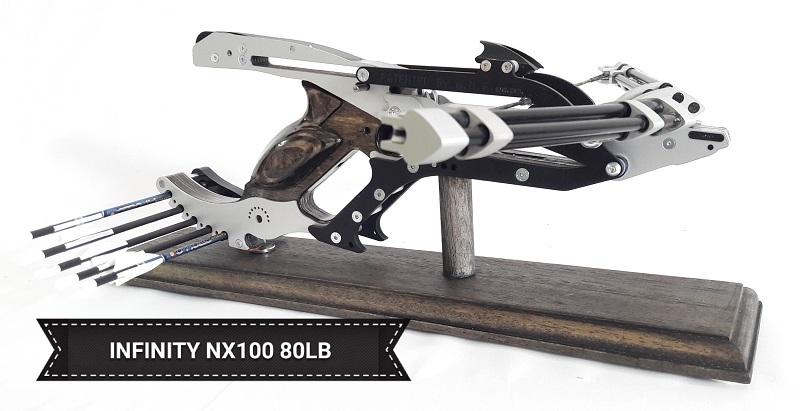 INFINITY NX100 The first Crossbow Pistol in the world that use a Magnetic Rest with micrometric regulation. Dardo Privo di Interferenze, Espressione Tecnologica di Massime Prestazioni. 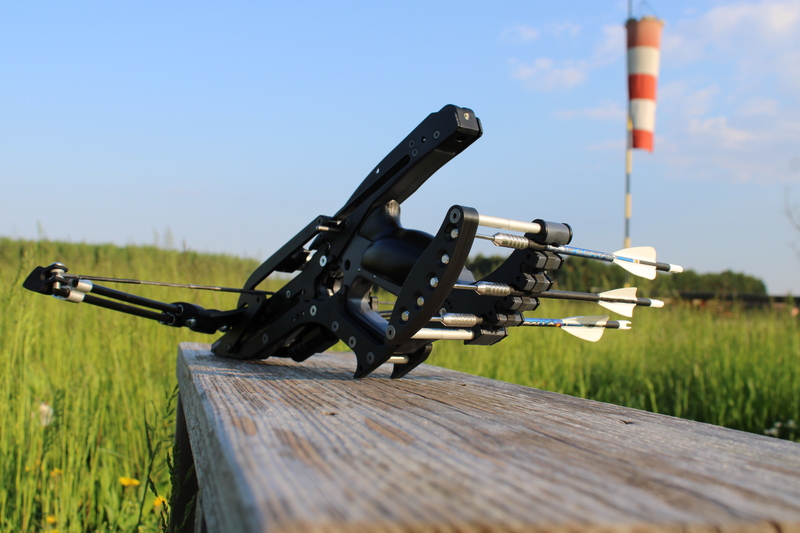 Arrow without interference, technology that guarantees the Best Performances. 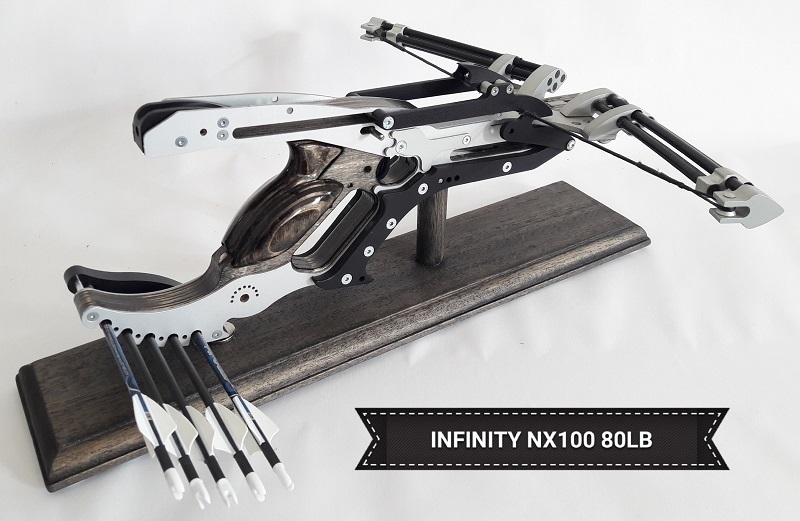 INFINITY NX100 The first Crossbow Pistol in the world with floating arrow. A rilascio avvenuto, il Grilletto si blocca a fondo corsa. 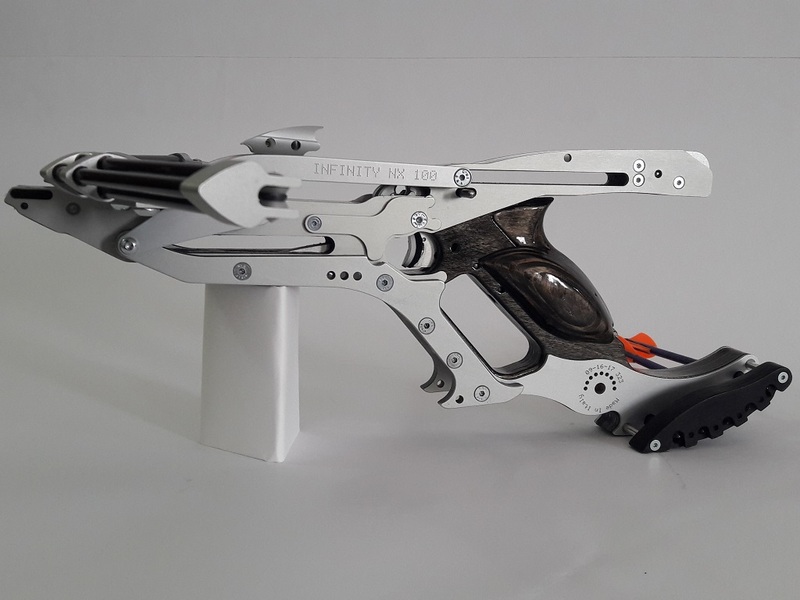 INFINITYN NX100 La prima Balestra Pistola al Mondo con sistema di regolazione micrometrica del rocchetto di rilascio per consentire il perfetto allineamento del dardo. 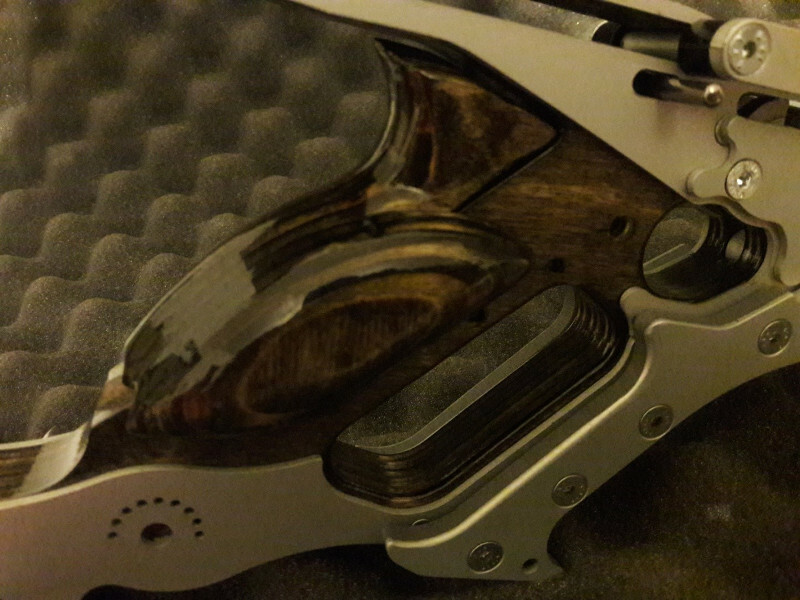 After release, the trigger stops at the end of stroke. 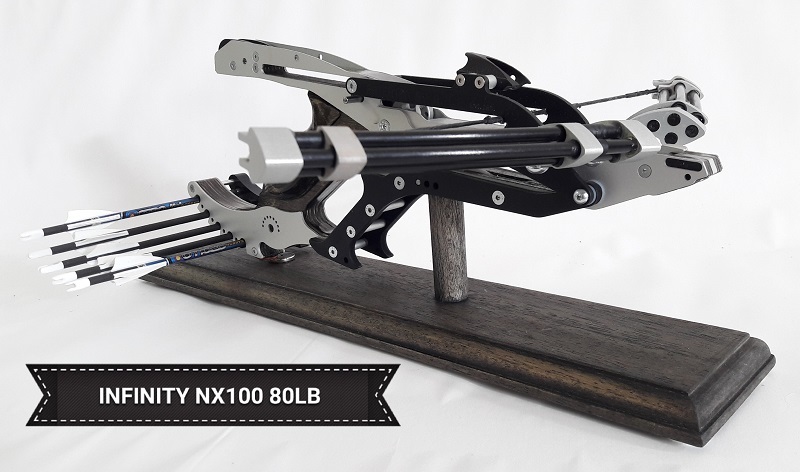 INFINITYN NX100 is the first Crossbow Pistol in the world with a micrometric regulation of the releasing reel to allow an excellent arrow alignment. Quando la corda arriva alla meccanica di rilascio, in automatico e senza alcun Vostro intervento, la sicura si pone a difesa del sistema, disabilitando l’azione del Grilletto. 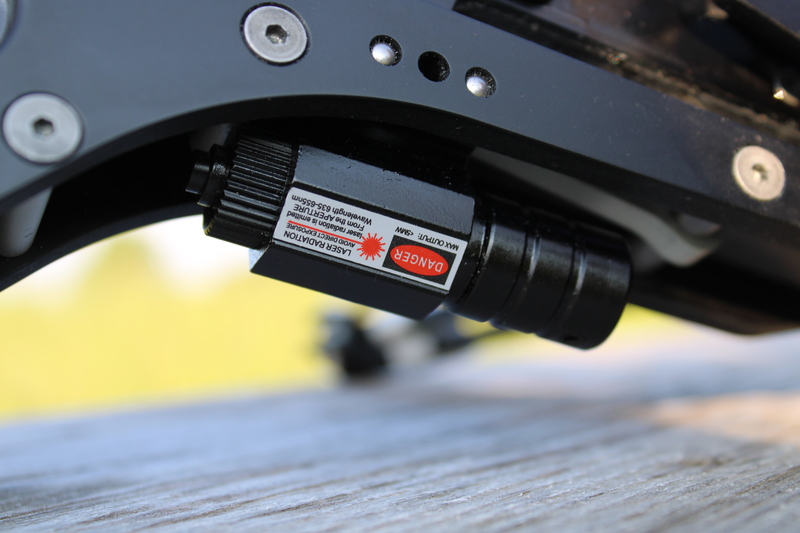 When the string reaches the releasing mechanic device, the safety lock is automatically engaged disableing the trigger, without your intervention. 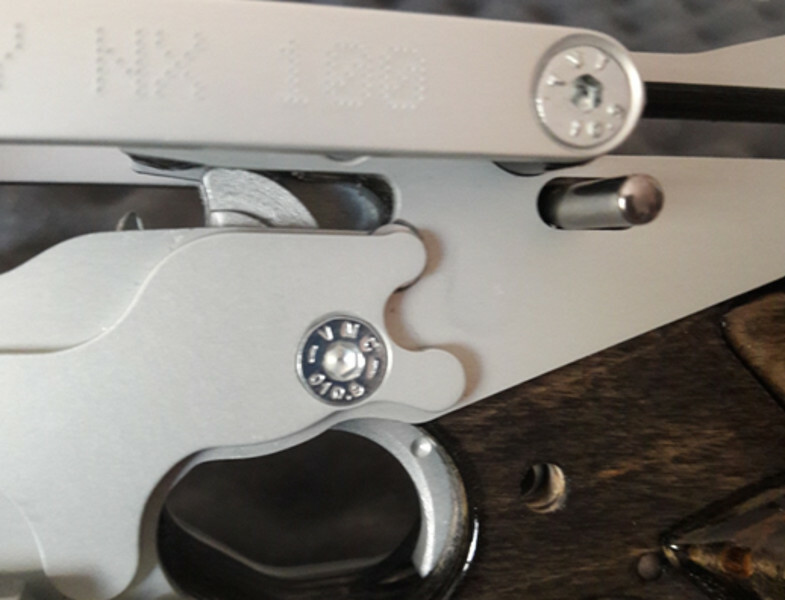 A small hole crosses the trigger and prevents the usage, solidly blocking all the release mechanic to whom may not have adequate training or is not allowed to use the Crossbow Pistol INFINITY NX100. Safety lock is included. Lo spostamento in avanti della Sicura Ambidestra, libera il Grilletto consentendovi di agire su di esso, rilasciando il dardo. 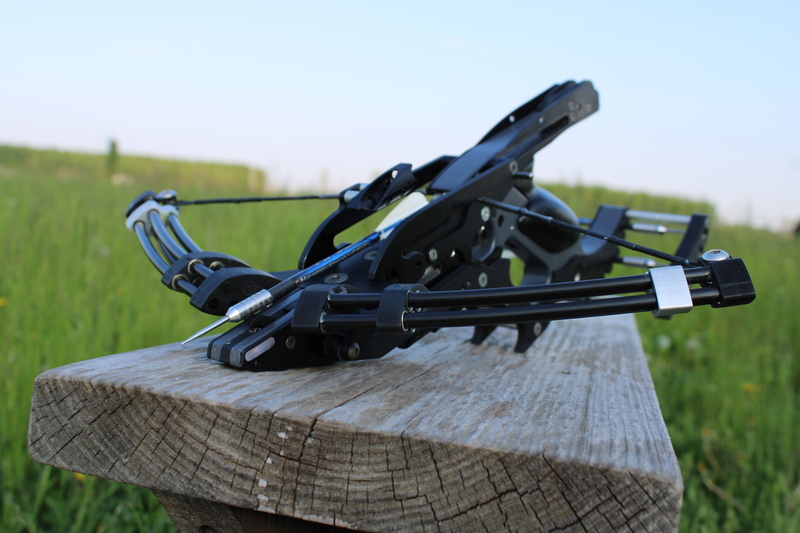 A forward movement of the ambidextrous Safety Lock, releases the trigger allowing you to operate on it, releasing the arrow. Questa forma sinuosa, simile ad una grande Esse allungata, consente la ricarica della Balestra Pistola. 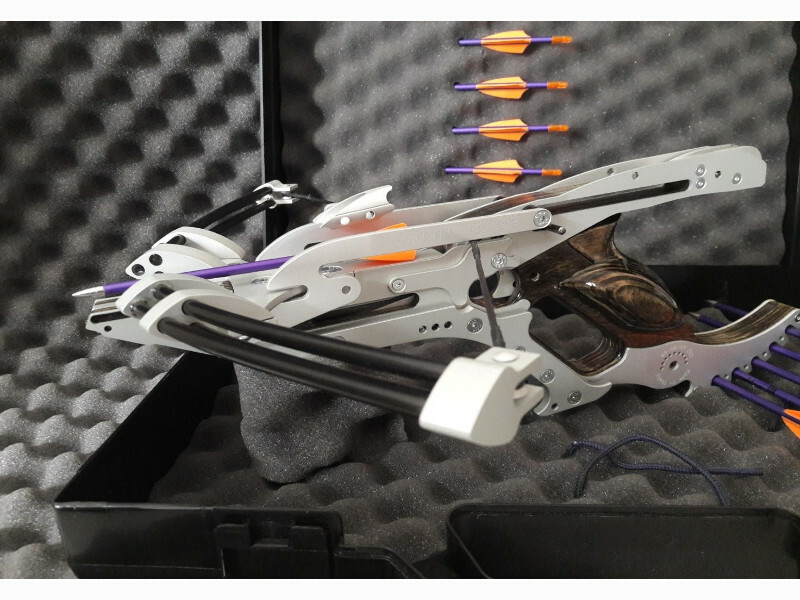 This curvy shape, similar to an extended S , allows to re-charge the Crossbow Pistol. Mirino con regolazione Micrometrica, robusto e di facile regolazione. 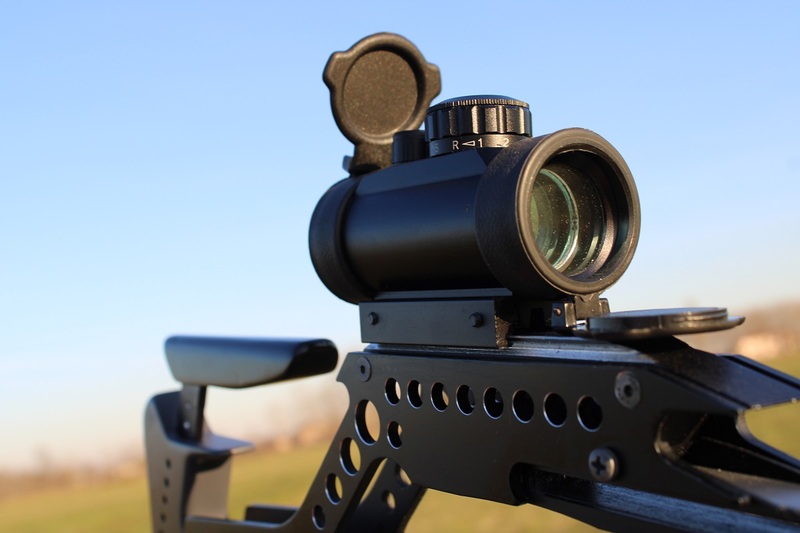 Sight with micrometric regulation, robust and easy to use. INFINITY NX100 La prima Balestra Pistola al Mondo ad avere integrata nella struttura la Faretra ambidestra. 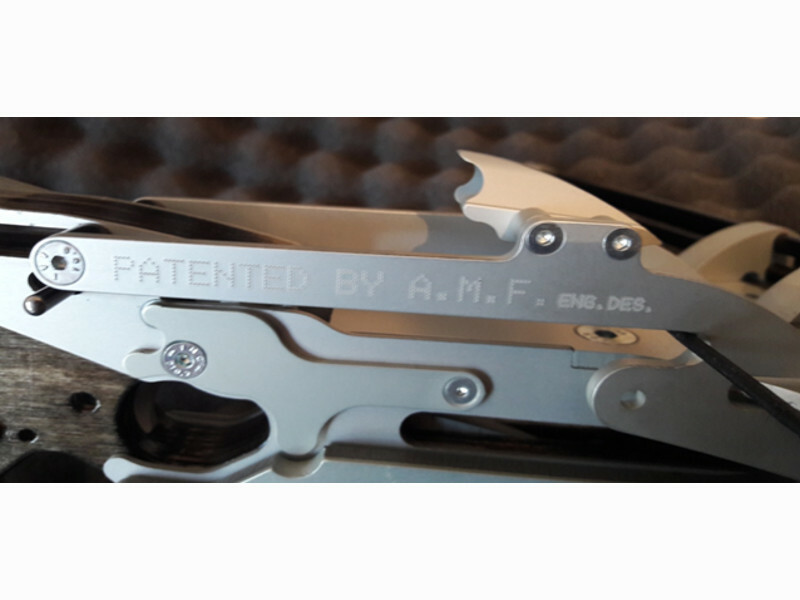 Sistema di ricarica rapida progettato appositamente da A.M.F.Engineering Design. Il tiratore, non perde mai il contatto con l’impugnatura, a tutto vantaggio della sicurezza e della ripetitività dei tiri. Quick recharge system designed by A.M.F.Engineering Design. The shooter never loose contact with the handle, increasing shooting safety and repetitiveness. Anatomiche ed Ambidestre, tutte le Grip, sono rifinite a mano, di conseguenza ogni Grip ha una forma unica. 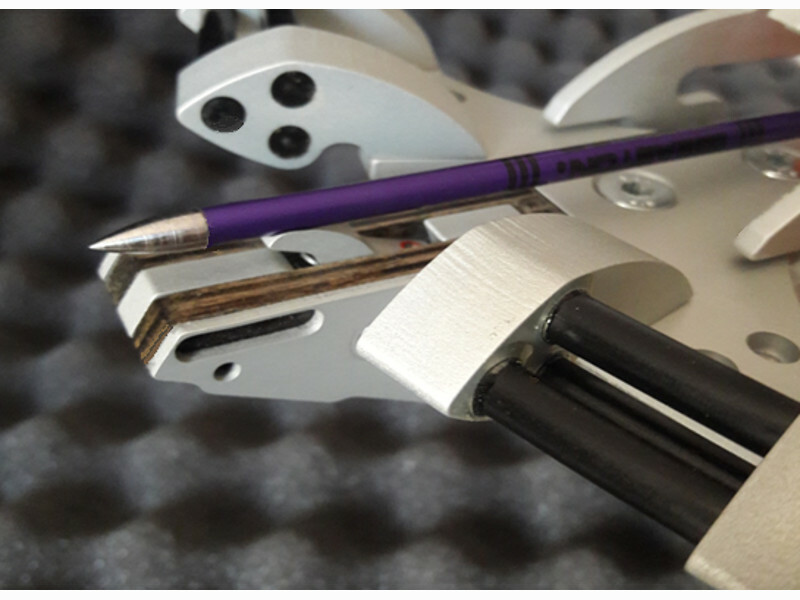 Anatomic and ambidextrous, all Grips are manually finished, and consequently every Grip has a unique shap. Assemblaggio delle parti al grezzo. 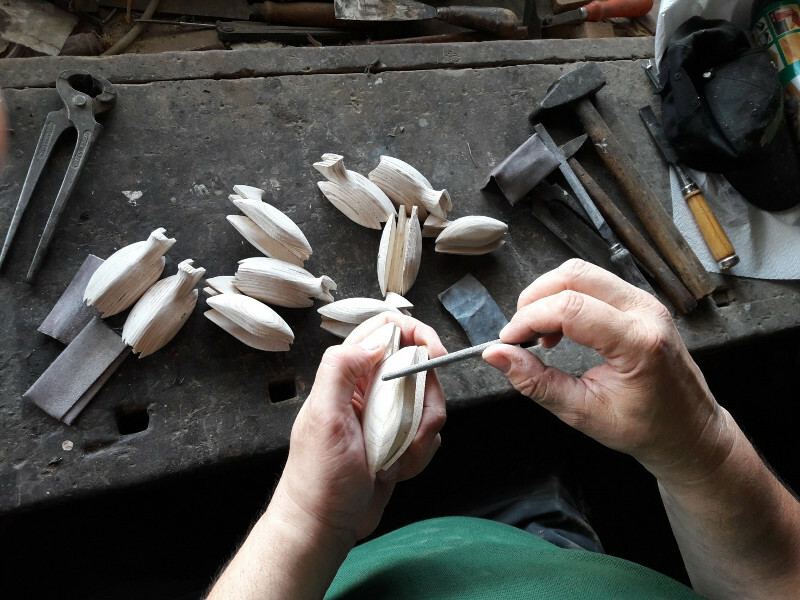 Modellazione e finitura a mano. 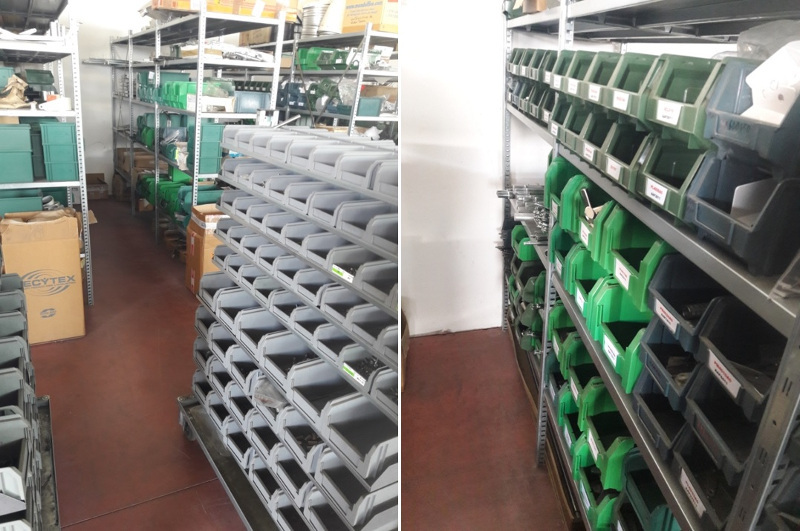 A disposizione dei nostri clienti, per ogni evenienza, il magazzino ricambi spedisce entro 7 giorni lavorativi..
For every need, our warehouse can send spare parts within 7 working days. Realizzare balestre ad alte prestazioni nel pieno rispetto della natura e della Terra che ci ospita, divertendosi con uno sport piacevole ed entusiasmante. Le Balestre INFINITY NX100 sono realizzate con materiali riciclabili al 92%. We advise against the usage to persons who use heart aid devices suchas Pacemakers or other devices who se operation can be affected by magnetism and/or by devices that produce electromagnetic fields. 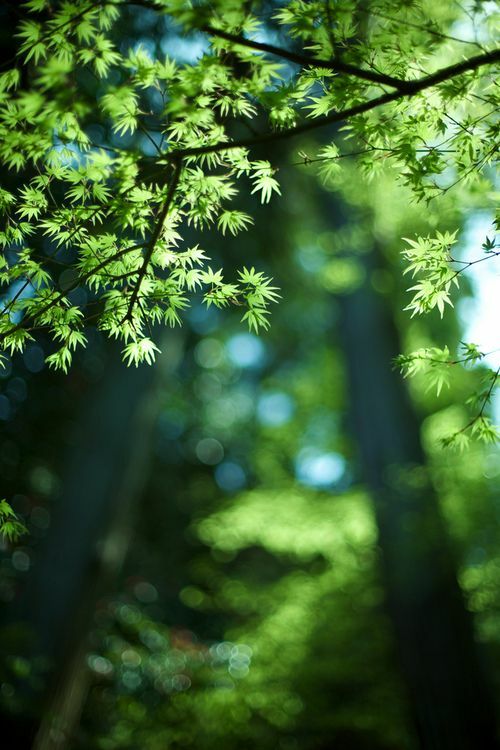 From 09.00, At 12.00 – From 15.00, At 18.00, Rome Time.